The Chris Anderson “High Five” Scholarship was formed in 2015 after Chris’ tireless dedication to the Miracle League players, their families and the volunteers when he lost his fight against cancer. This scholarship was formed in honor Chris and his love of the game. 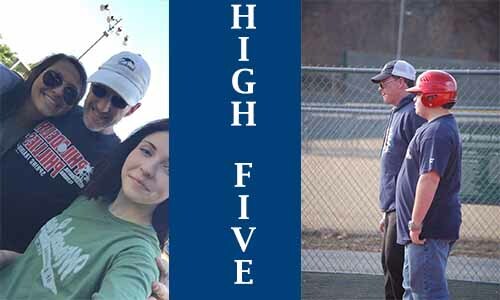 The “High Five” scholarship is awarded to a graduating High School student or currently enrolled college student who demonstrates a commitment to service within his or her community through volunteerism with the Miracle League of Arkansas. The recipient has shown to be caring, compassionate and dedicated just as Chris was and one who routinely demonstrates selflessness and humility through the act of giving of their time.